.....so I got a car that has three!! After almost seven years and nearly 110,000 miles, I decided it was time to say goodbye not only to my Elantra but to the Hyundai brand. I've been flying the H flag for almost fourteen years now and was desperate for something different. 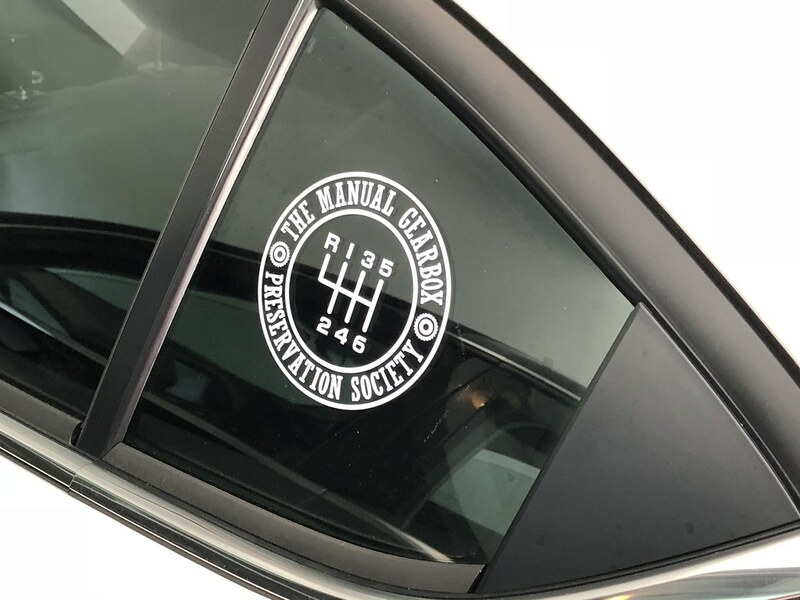 My requirements were simple: it had to get good mileage, be reliable, practical, decently fun to drive and available in a manual in something other than loss-leader poverty spec. That's a pretty short list and eventually I had it narrowed down to three cars. The Civic EX-T was out based on styling. While I liked it a lot when I drove it and think it's a great car, I really don't think the looks are going to age well. Plus a friend has a 17 Si and I don't want to play copycat. Next to get scratched off the list was the VW GTI. While I love the looks, hatchback practicality and those amazing plaid seats, the $31,000 sticker price nearly gave me a hernia. 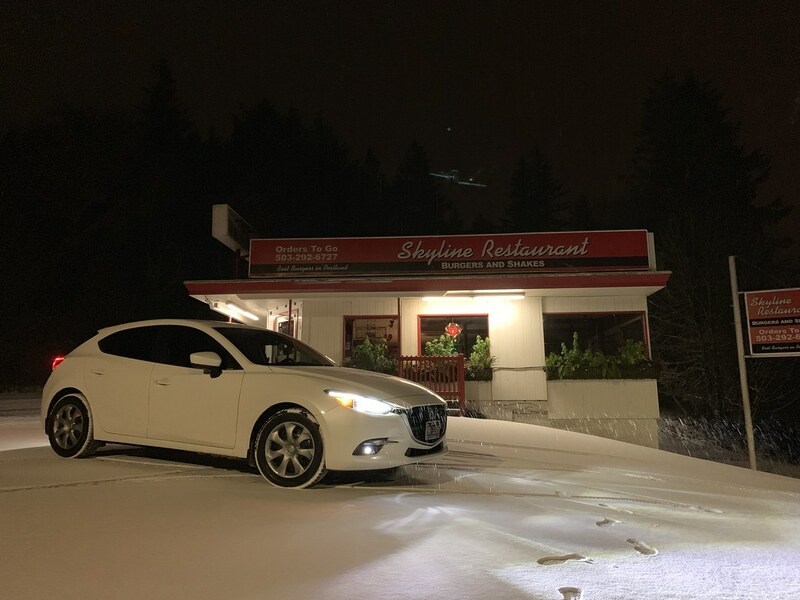 And so it finally came down to the Mazda 3 hatchback. I drove one a few weeks ago and fell in love with it. 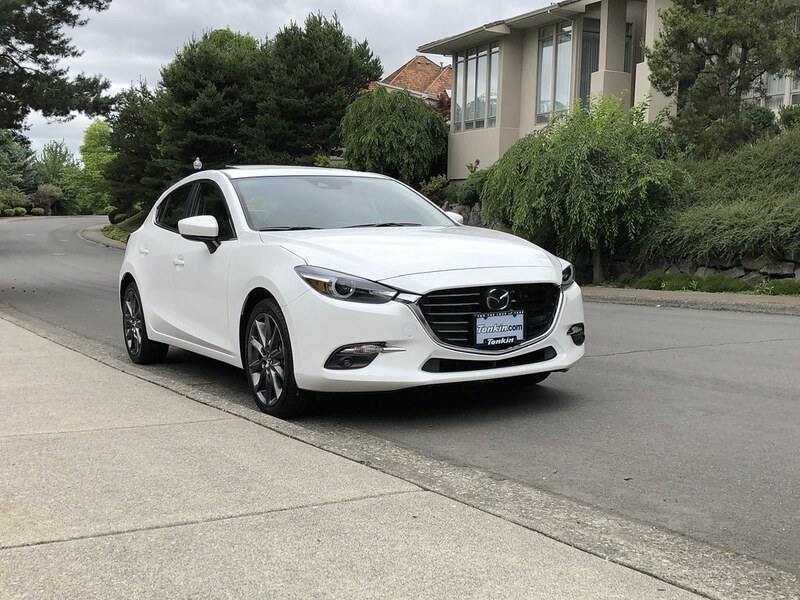 I did a bit more research and on Friday, I went out to Ron Tonkin Mazda in Portland and signed on a brand new white 3 Grand Touring hatchback with the premium package and a manual transmission. I managed to get $5200 for the Elantra although I could have gotten more privately, I didn't feel like dealing with scammers and Craigslist flakes. So far I've put about 150 miles on the car and am head over heels in love with it. This thing is so much better than my car was from the quality of the suspension tuning to the tightess of the body and quality of the materials. It still doesn't feel like it's mine but I'm slowly getting there. It's heading back to the dealer on Friday for 3M clear bra and splash guards and then some time soon I'll get the windows tinted and re-install my dash cam. Congrats! I’ve always been a fan of Mazda 3s. Nice ride. Mazda has stepped up their game recently. Congrats! I love the McLaren esq dashboards in recent Mazdas, love the interior too. Enjoy! 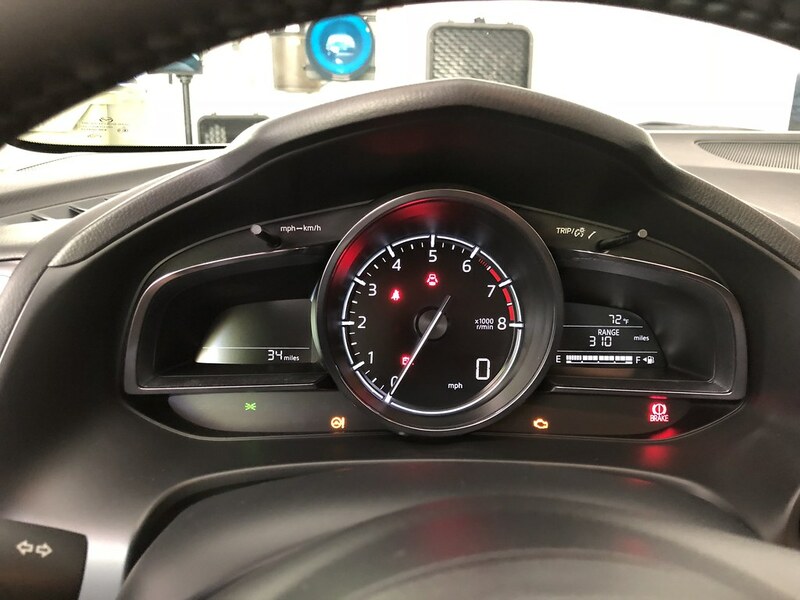 I love seeing a car with proper gauge setup- meaning the tachometer is front and center, not the speedometer. Hey, if you know your engine sound and engine speed, you can figure out your rate of travel that way. Welcome to the Gen3 Mazda3 Club. Our 2016 Mazda3 s GT 5-Door is pretty much the same car and we very much enjoy ours. 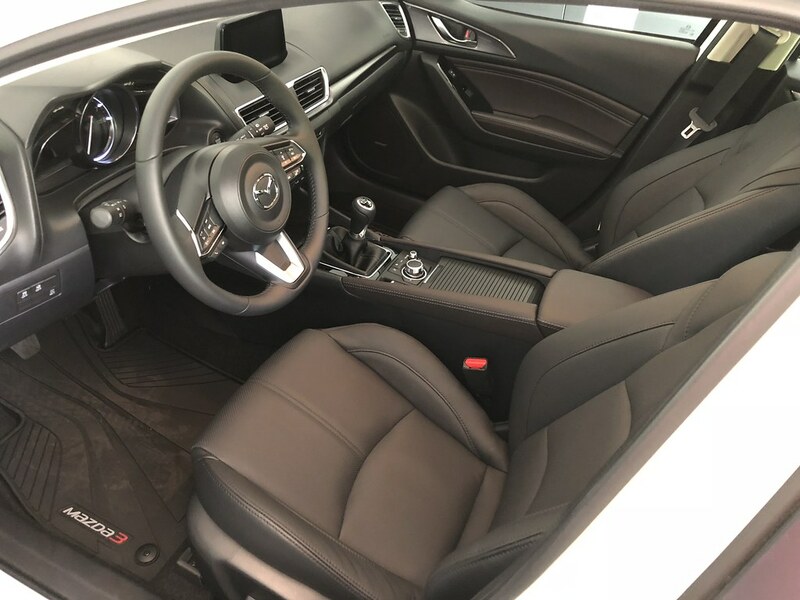 Assuming you were looking at a GTI SE 6MT since you said plaid seats. $31k seems high, they're $28-29k with the DSG around here. Either way, the M3 is a good choice! Definitely more of a driver's car than a lot of the competition. What a good looking car and those seats look comfortable too. Love it. Congratulations! Thanks, everyone! So far I can't get over the mileage I'm getting out of this thing without even trying. I'm currently averaging 31 MPG just going to and from work and around town with hardly any freeway use. I think my average speed is 24 mph at this point which makes it all the more amazing. My Elantra would struggle to crack 26 MPG in similar conditions. Same car I'd buy in that category as well. My wife typically averages 34 mpg in her daily commute which is about 30% freeway and the rest two or four lane suburban roads. Congrats!! These are great cars man! Congrats on getting what is probably the best looking "shoebox" hatch out there! Mazda has always had a knack for exterior styling but their interiors always drove me away. Now with the 3 and 6 both having competitive interior styling and quality, I have to put them back on my radar. I don't particularly like hatches and am more of a larger sedan kind of guy, so I am focusing on the new 6 Signature and Accord 2.0T Touring, but that is a damn nice looking hatch I must say! Congrats on the new Mazda! I think the styling of the 3 hatch is so sporty and European looking. And of course as a former Mazda owner I know how fun they are to drive. All the best luck with it! Thanks, guys! I'm just over 800 miles and though the seat is taking a bit of getting used to (my back always gets annoyed when I change cars but it typically comes around), I'm loving it. I definitely made the right choice. I got the splash guards, 3M PPF and Mazda valve stem caps put on last Friday and she's going in for tint this Friday. Today I also disabled the daytime running lights, primarily because (1) the DRL is no longer the halo but rather, the low beam on reduced power, (2) a projector beam doesn't make for a very good DRL and (3), LEDs suffer from degradation over the long-term. 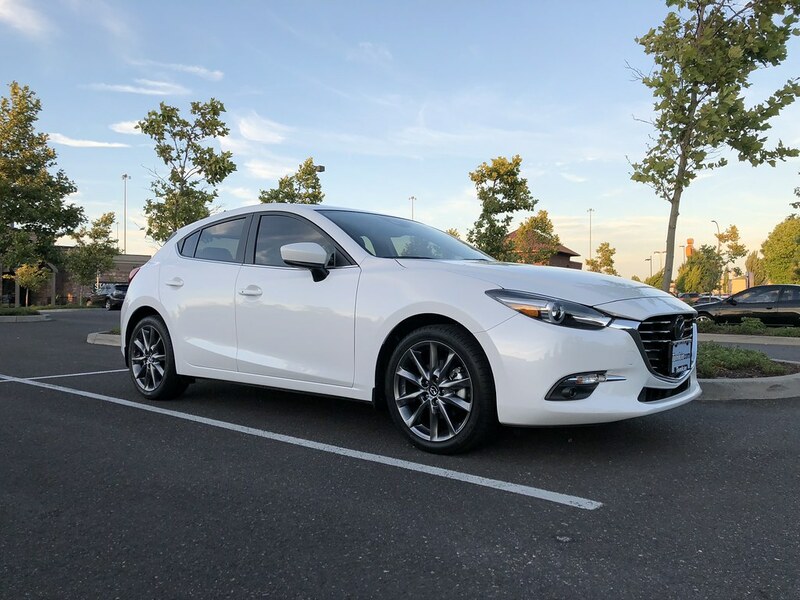 I don't want my headlights going dim when I need them most because Mazda thought it was necessary for them to be run on a beautiful cloudless day. I'm just glad they give you the ability to disable them yourself. Got the windows tinted today...35% and it really helps bring the car together. The only other mods I have planned are LED'ing the rest of the outside (really just the turn signals, plate lights and front side markers) and maybe the engine start button from the Miata as it has a chrome ring that kinda classes up the interior. The one on the 3 is just black plastic and looks kind of cheap. Sweet Portland.. enjoy that ride mang! A little Mazda update for y'all. I cracked 8,000 miles last month and am still so very in love with this car. I'm just shy of a lifetime average of 30 MPG despite almost all in-town driving. I took it to Tacoma back in November and despite not driving for economy at all I managed 35.7 MPG for the trip (sticker rating is 33 highway) and almost 38 between Tacoma and Longview. I don't regret my choice in vehicles at all....this thing hasn't given me a single reason to nor has it asked for anything but the inaugural oil change at 4500 miles. I got a new set of Blizzak WS80 studless tires back in November as the WS70s I had from my Elantra were too worn to be effective any longer. I threw them on a set of generic steel wheels along with the 3 Sport wheel covers and nobody's the wiser. This car handles the snow very well although the ABS pump is quite noisy. I'm so happy you're glad with it, man. More and more of my friends have picked these up and it's great. I think Mazda really hit the nail on the head with this generation 3. Yeah, ours has been pretty much rock solid for nearly three years and 35,000 miles now; the only fly in the ointment is when the temperatures get down under ten degrees the MFD and underlying systems repetitively reboot until the cabin warms up a bit. Looking good. The Mazda hatches have always looked great. On Friday a friend and I were heading up to Tacoma, Washington to drop off some car parts for another friend and to pick up some car washing supplies. 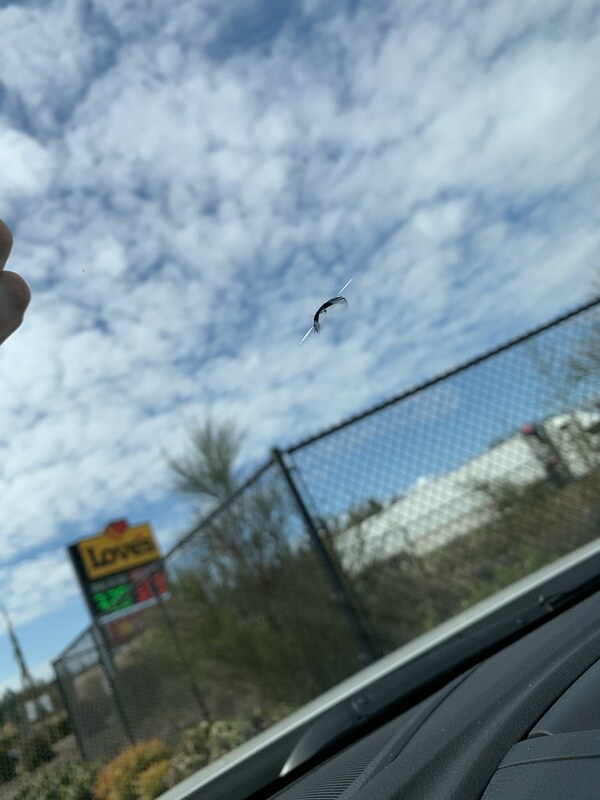 While north on I-5, a log truck kicked up a massive rock that hit my windshield just below my line of sight and immediately started to spread. 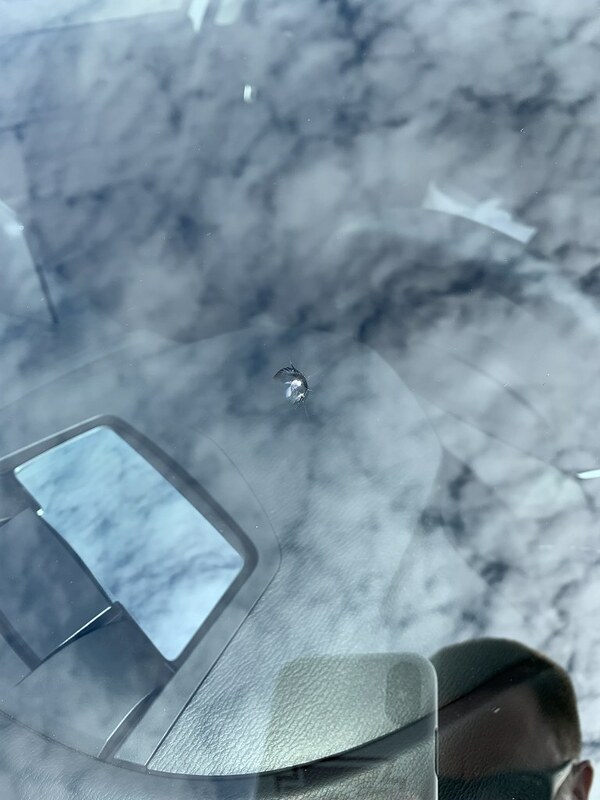 I need to call my insurance company and though I have glass insurance, I have a feeling I'll be in for a big fight with them because I'll be insisting on an OEM windshield due to the ADAS camera. That and I don't trust the aftermarket junk that's coming in from China and God only knows where else. 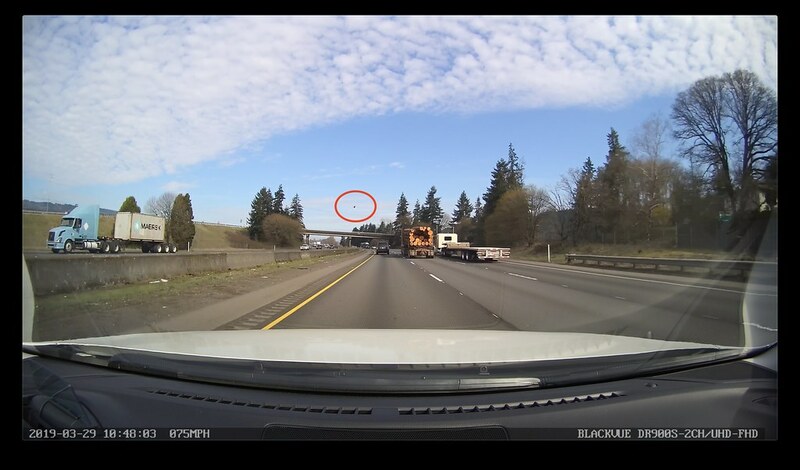 The third photo is a screen shot from my dash cam showing the frame in which the rock was most visible. I must admit I'm glad it hit the windshield and not the hood because I bet it would have done a real number on the paint. Still pisses me off that truckers are allowed to go straight from logging roads with massive rocks to highway speeds without some sort of shield around the wheels. They should at least do a cursory check before getting back onto tarmac. On a lighter note, I managed to crack 37 MPG for the first time on the way back! Did your camera happen to catch the license plate of the truck? If so, contact the trucking company and demand a new windshield. I did consider it but there were two trucks and in review of the footage, the source of the rock is inconclusive so I can't prove which one did the deed. I have a zero deductible glass policy so chasing after the trucking company would be waaaaay more hassle than it's worth.